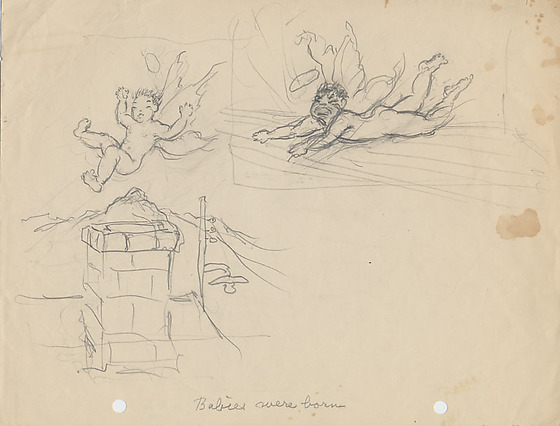 Pencil drawing of a baby with halo and wings, left, falling bottom first toward a brick chimney, lower left; lampost near rooftop and Heart Mountain peak visible in background. 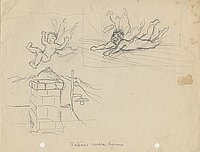 Within a line border, top right, a baby with halo and wings cries as it lands face down on the floor. Written in pencil, bottom center: Babies were born.